FAYETTEVILLE, Ark. – Margaret Sova McCabe, professor at the University of New Hampshire School of Law, has been named dean of the University of Arkansas School of Law. She will assume her duties effective July 1. Sova McCabe will be the School of Law’s third successive female dean and the 13th dean since its founding in 1924. She was selected by Provost Jim Coleman, on the recommendation of a campus search committee following a national search that drew candidates from coast to coast. Sova McCabe has been active in university, community and professional committees, task forces and work groups throughout her career. She has also held leadership positions in national professional organizations such as the Academy of Food Law and Policy, Food and Drug Law Institute, Association of American Law Schools Agriculture and Food Law Section and Food Solutions New England. 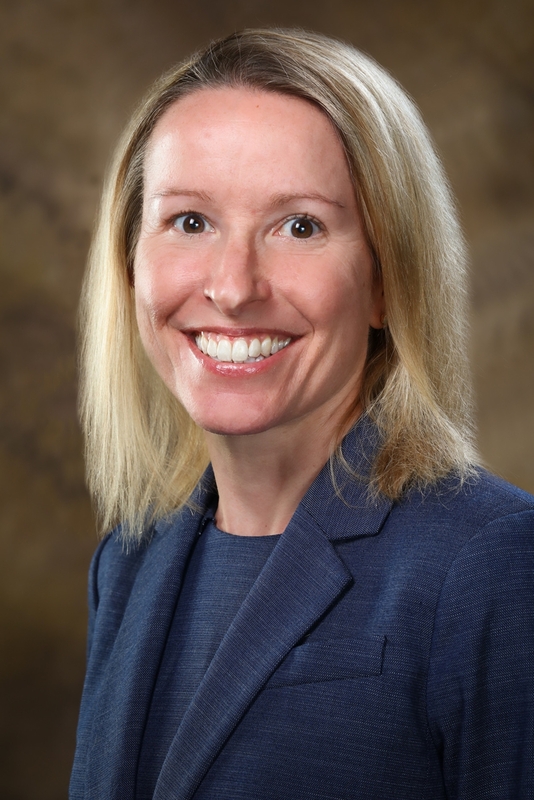 Sova McCabe will replace Stacy Leeds, who has served as dean of the School of Law since 2011. Leeds was named interim vice chancellor for economic development in 2017 and will continue in that role on a permanent basis. Sova McCabe joined the University of New Hampshire faculty in 2007 and has been a tenured full professor since 2012. In addition to her teaching, research and service, she spent a combined five years in two associate dean roles at the public, land-grant, flagship university. Among her accomplishments as associate dean for academic affairs, from 2014-17, and associate dean for academic administration and special projects from 2012-14, she oversaw the school’s transition from a stand-alone private law school to part of a public research institution; was responsible for ensuring institutional compliance with external accreditation standards; and fostered a culture of proactive engagement. Her extensive publishing record includes doctrinal, interdisciplinary and pedagogical articles and blog posts. Her teaching portfolio has included courses in Administrative Process, Agriculture and Food Law, Writing for Practice and an Administrative Law Clinic in partnership with the New Hampshire Department of Agriculture, Markets and Food. She has instructed both law and graduate students through her faculty appointment in the University of New Hampshire School of Law and other academic positions. She has served as affiliate faculty at the university’s Carsey School of Public Policy, a Food and Society Initiative faculty fellow at the university’s Sustainability Institute and a faculty fellow at the law school’s Warren B. Rudman Center for Justice, Leadership and Public Service. Prior to her academic career, Sova McCabe served as an attorney for the New Hampshire Department of Safety and practiced privately. She is a member of the Maine Bar and the New Hampshire Bar. She holds a Bachelor of Arts from Bard College (1992). She earned a Juris Doctor from the University of Maine School of Law (1995), where she was articles editor for the Ocean and Coastal Law Journal. About University of Arkansas School of Law: The University of Arkansas School of Law prepares students for success through a challenging curriculum taught by nationally recognized faculty, unique service opportunities and a close-knit community that puts students first. With alumni in all 50 states, the District of Columbia, two territories and more than 20 countries, it has been ranked among the top 10 "Best Values in Legal Education" by the National Jurist magazine for five consecutive years and is among the top 48 public law schools, according to U.S. News and World Report.